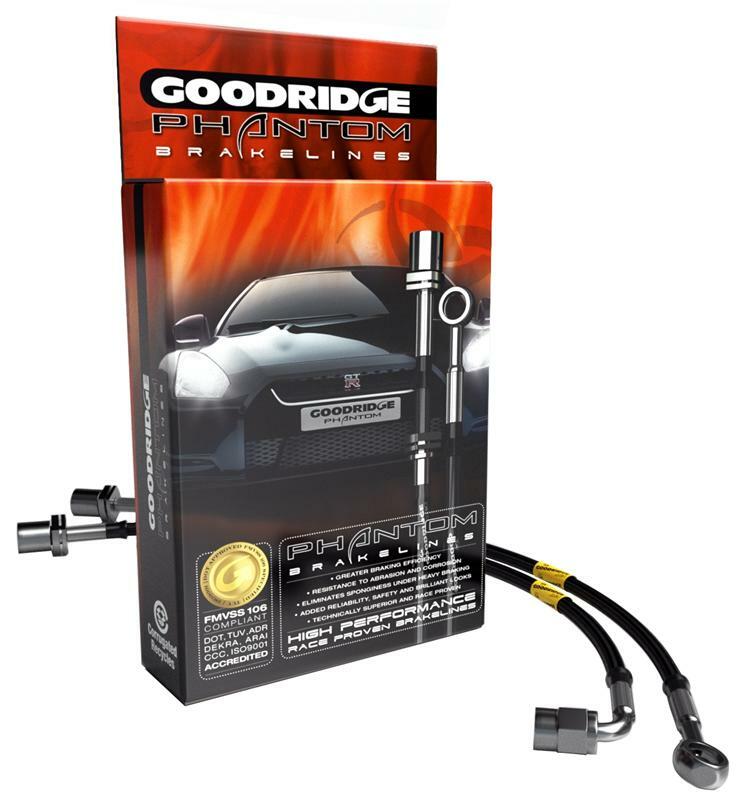 Phantom kits feature black poly-coated Stainless braided PTFE hoses with Stainless hose ends, banjos and bolts. Additional brackets and hardware are protective coated for improved appearance and durability. Phantoms, as with all G-Stops, ship complete with all necessary hardware to allow easy do-it-yourself installation. Replacing OE brake lines with -03 PTFE hose improves brake feel over factory lines, eliminates sponginess, and provides shorter stopping distances and consistent braking in performance applications.